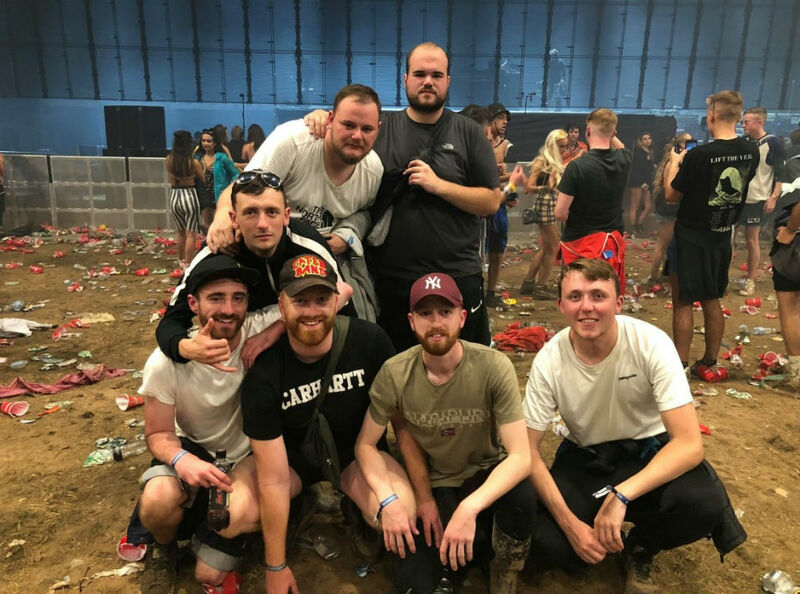 A GROUP of festival-goers left a man-sized gap in between them while posing for a photograph – so their friend who couldn’t come could photoshop himself in. 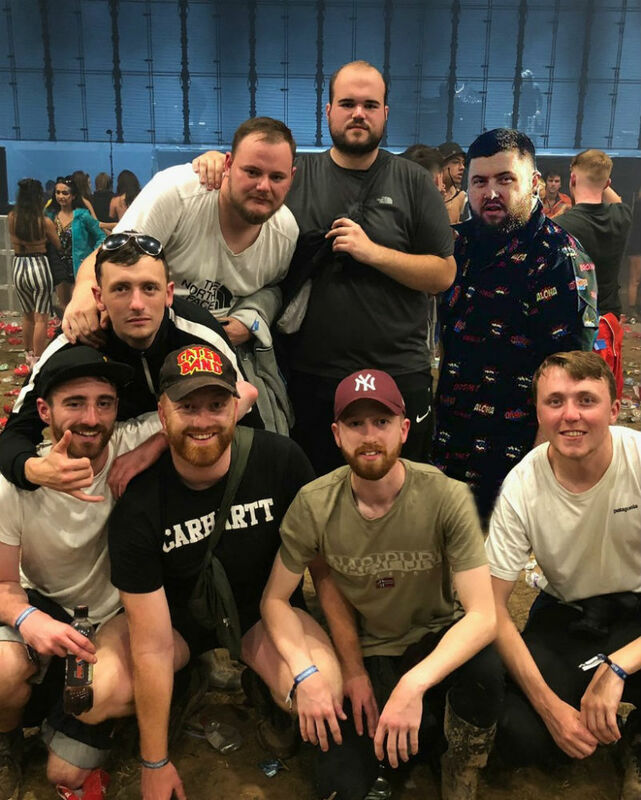 A hilarious image shows Micky Hargreaves standing in amongst his seven friends while they were at dance music festival, Creamfields last weekend. The 26-year-old from Fleetwood, Lancashire was unable to attend the festival as he was performing a DJ set on Sunday night in Blackpool. His friends were determined to make sure he wouldn’t completely miss out on the lad’s weekend – so left a special spot in their group photograph for him. 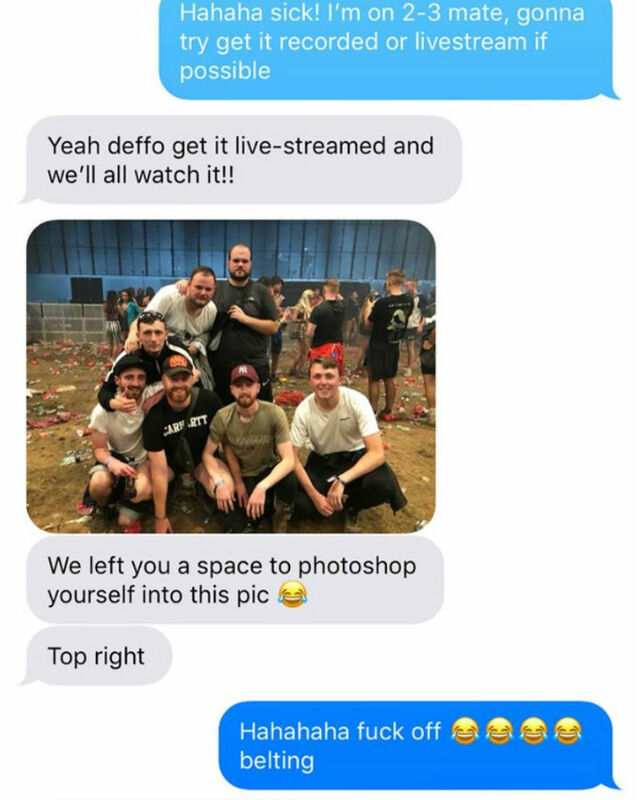 Jonny Robertson sent Micky the image of his friends posing in front of one the main stages, so he could add himself in. Glass Factory worker Micky shared the doctored photograph, and an image of the message exhange between him and his friends, on social media on Tuesday. The post has since attracted scores of comments on Facebook from impressed followers, loving the artwork. Speaking today (thur), Micky, who is a producer for Mikx and Khaki, said: “All of my mates had gone to Creamfields for the weekend and were wishing me luck on a DJ gig I had myself on the Sunday night. “They got the photo taken and told me they had left a space for me to be photoshopped in so I made the edit. “They wrote ‘wish you were here mate, have a good set tonight good luck’. He added: “It’s been funny to see people liking the banter and sharing pictures of stuff they’ve done similar.